During the 16th century, when Brighton consisted of but a few hundred people, the northernmost limit of the town was defined by North Street. At that time, there were only a few farm houses dotted along the northern side of the road. One of the surviving farm-houses from that time, originally fronting Windsor Street, off North Street, is depicted to the left side of the building shown in the first photograph. An inscription on one of the walls dates the house to 1597, but this was probably a fanciful notion. Click on any of the photographs to open a large version in a new window; click again to further enlarge. During excavations in 1892, a foundation stone for the North Street wing, dated 1693, was uncovered. 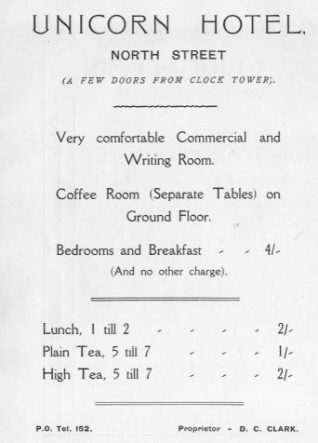 The building was converted into a public house sometime around 1774. In 1792 it was offered for auction and described as a ‘large messuage and building, good cellar, two parlours, kitchen, tap-room, wash-house, seven bedchambers and stabling for six horses, with offices’. During the Napoleonic Wars a barracks was established in the yard to the rear of the premises and the public house subsequently developed somewhat of a reputation from the troops patronising the establishment. The photograph, taken shortly before its demolition, shows the then current landlord, Edward Awcock and his daughter standing outside. Oil painting from the Fine Art collection. 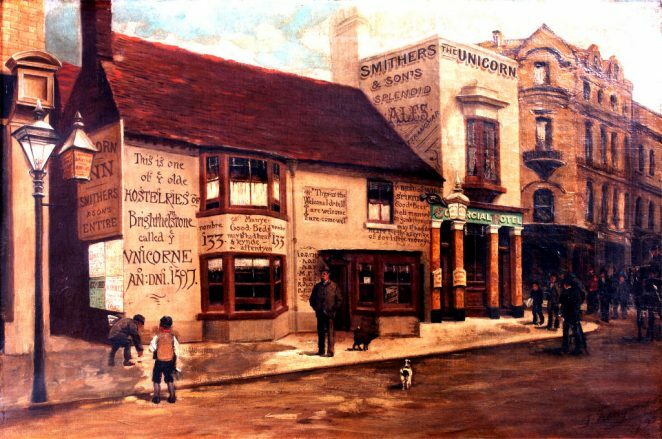 “Old Unicorn Inn, North Street, Brighton” by T Trangmar, showing The Old Unicorn Inn with figures standing, and children playing, outside. 1893. In August 1892 the original public house was replaced by a newer building designed by Samuel Denman, as shown in the photograph. During the removal of the old building, the old town well was uncovered in the north-east corner of the site (adjacent to Windsor Street). The Court Leet of 1621 mentions the town well ‘at the upper end of North Street’, which later became known as “the Unicorn Yard Well”. It is thought that it was capped during the slum clearances around the time that Queen’s Road was built. 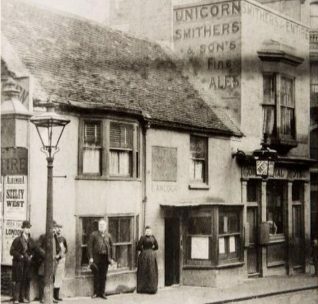 From 1846 the Unicorn had been the meeting place for a number of friendly societies, most notably the lodges of the Ancient Order of Buffaloes and the Ancient Order of Foresters (see the abbreviations in the top corners of the advert and on the wall by the doorway of the pub, in the painting). 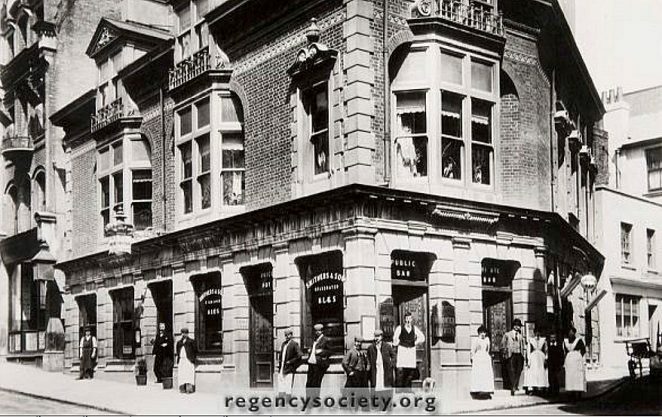 In 1919 the sites of the Royal Hotel and the Unicorn Inn were acquired by Provincial Cinematograph Theatres Ltd. in order to build Brighton’s first ‘super-cinema’. This was opened on 27th July 1921 as the Regent Cinema. The picture depicts the North Street entrance, on the corner with Windsor Street. 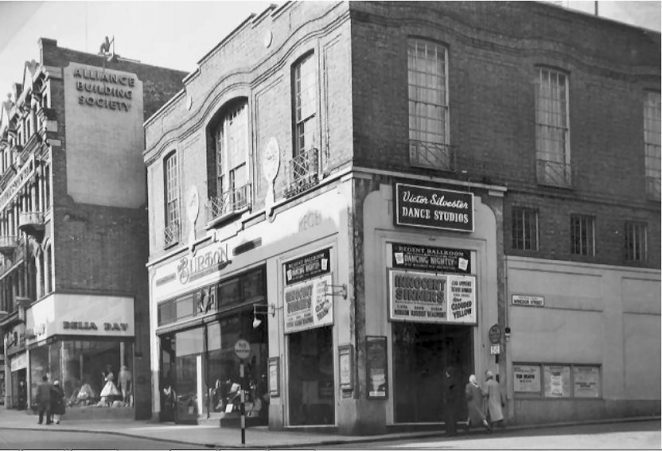 After the final screening of ‘Cabaret’ in April 1973, the cinema closed for good to be replaced by the Boots store. The site of the Unicorn was redeveloped into smaller shopping units. 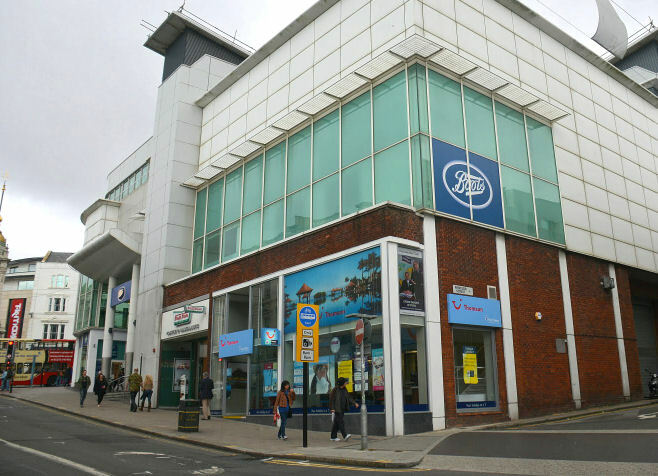 Sometime in the 1980s I was told by someone who worked in the council rates office that the Boots building at the Clock Tower was the most highly rated [in monetary terms!] building in the town. I am having trouble with the orientation of the first two photos. I can see that we are looking roughly north west in the last three, but can someone please tell me which direction we are looking in the first two? Looking elsewhere on this site, it appears that the first two photos here are looking north east from the south side of North Street.